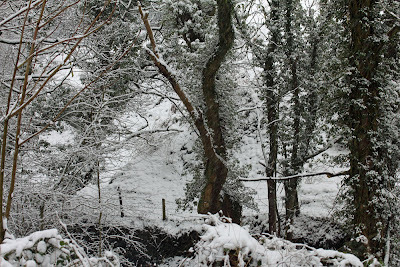 No allotment visit for me so far this week as a) it's half-term, and b) the weather up until today (when I am stuck at home awaiting a delivery) has been somewhat snowy. 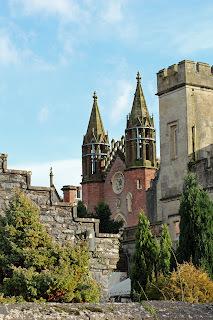 On Monday I took the children on a lovely local walk around Conishead Priory. We went with the intention of finding some snowdrops, which we did! 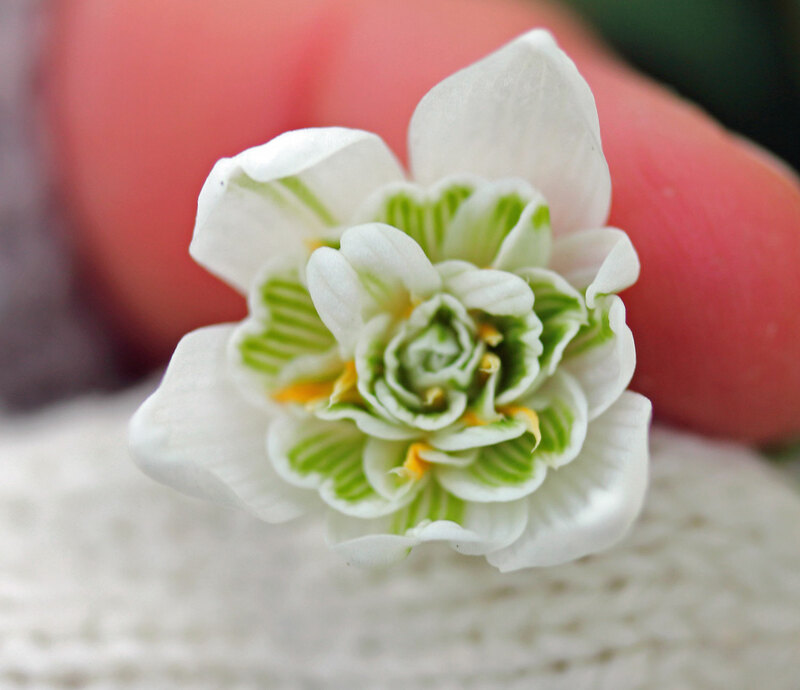 All of the snowdrops we spotted were of the same variety, which I believe is Galanthus nivalis 'Flore Pleno', or more commonly, the double snowdrop. However, I am not certain, as these have yellow markings which is quite rare according to the Botanical Society of Britain and Ireland. 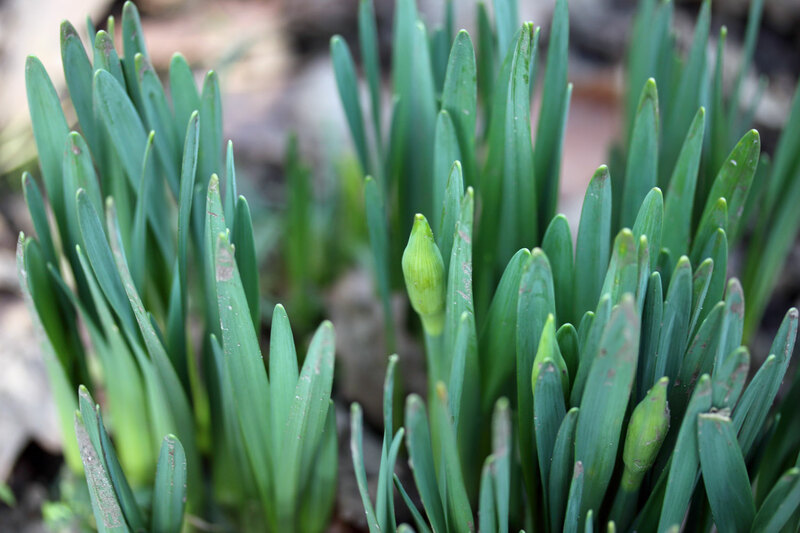 We also spotted lots of daffodils, which were close to flowering. I would guess that the spring-like temperatures forecast for the next few days may help them along. I also spotted this little fella hibernating in the knot of a tree. He is an orange ladybird (Halyzia 16-guttata). 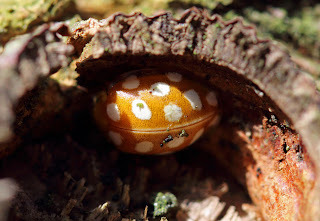 This species of ladybird used to be quite rare and was considered to be an indicator of ancient woodland until 1987. However it has now become quite established across Britain. I have to admit that I had never seen one before. Below left is Conishead Priory. A beautiful building built in the gothic revival style. 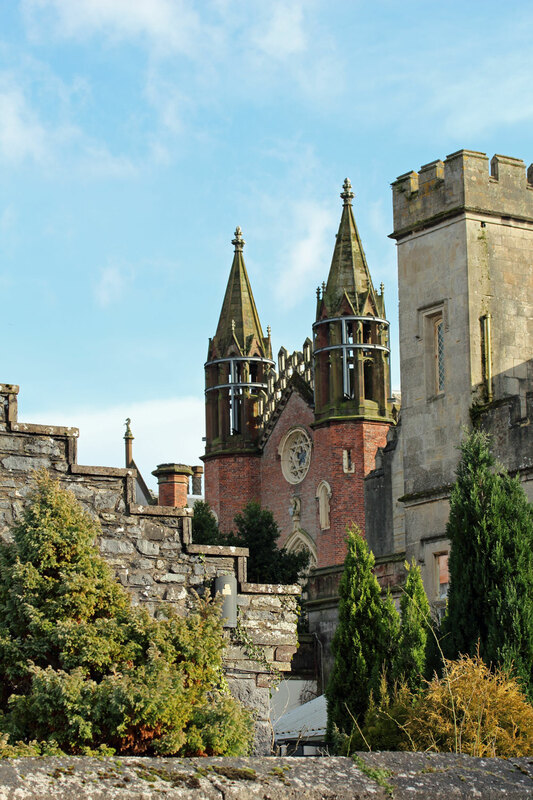 Conishead has a really interesting history dating back to the twelfth century. 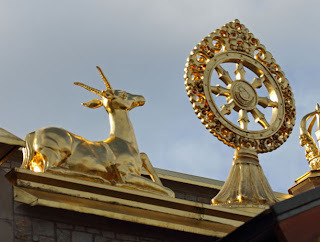 Since 1976 it has been home to the Manjushri Kadampa Buddhist community. In the late 1990's they built Kadampa World Peace Temple (below right) in the grounds of the priory. It snowed here also, though it didn't last as the rain soon came. It looked like you had a great day. We've had a great half-term so far. I've officially had enough of snow this year though! Thanks for an enjoyable post and lovely pictures. 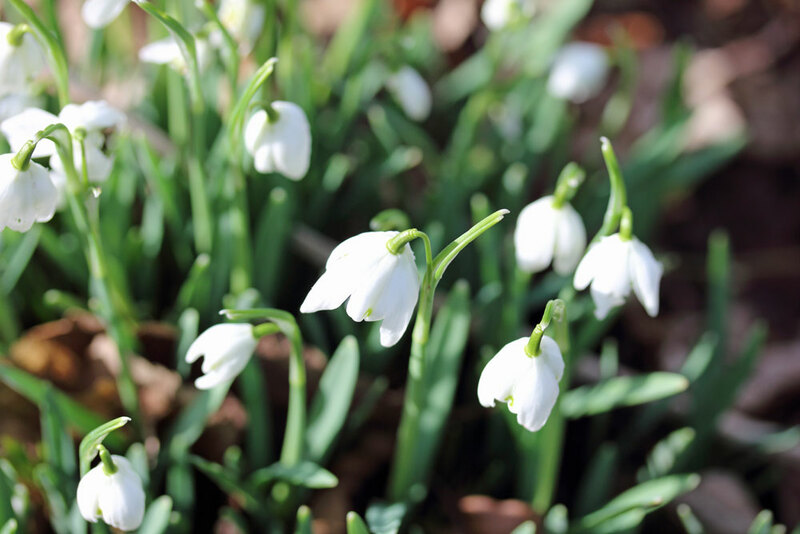 It's nice to see snowdrops, with crocus and daffodils not far behind. Interesting ladybird, it's always good to see them especially during the summer. Our snow has all gone now but left behind raging torrents flowing across the roads - very exciting trying to go shopping this morning. My snowdrops are just showing their heads, a lot later than everyone elses. I have never seen a ladybird with white spots before - well spotted. I foolishly ventured out in the car and seriously regretted it. The ladybird was a surprise - I started off photographing the knot in the tree and spotted him at the last minute. 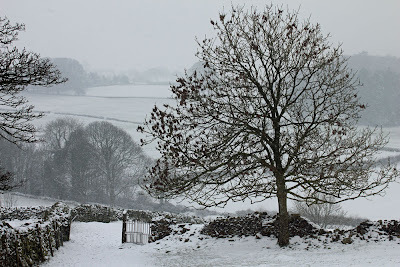 Lovely snowy photos. Our snow didn't last very long, even though we had quite a bit of it. I'm glad though as I hate the period where it turns to slush or ice. Our half term is next week, which is good as it's my son's 18th birthday. Thank you :) I hope you are having a super half-term and that your son has a lovely birthday. We had a lovely half-term, but I was quite happy to send the kids off to school this morning! All your photos today were nice but I must say I especially like the last two of the snow. It looks like it does out my window as I type this to you. Here on the shores of Lake Michigan in USA we have lots, I mean lots, of snow right now. Wish Spring would come soon!